NEW YORK CITY—SEPTEMBER 24, 2018—Equiteq and Simplus announced today the release of The Configure-Price-Quote (CPQ) Industry Guide 2018, which is the most comprehensive, publicly available study of the CPQ industry and investment within the space. The guide provides exclusive perspectives on the latest CPQ trends transforming customer experience for businesses and driving investment in solution providers. CPQ software tools are a crucial component of creating a tailored sales experience for businesses across industries. Advances in cloud computing, machine learning and the ability to automate the process, particularly for subscription-based sales, creates significant growth in return on investment for customers. In Gartner’s recent Magic Quadrant for Configure, Price and Quote Application Suites they provided a comprehensive evaluation of 11 CPQ software vendors’ products. The CPQ Industry Guide 2018 analyzes the following vendors Gartner highlighted as leaders: Salesforce, Apttus and Oracle. It also provides a review of CallidusCloud, a visionary recently acquired by SAP for $2.4 billion in the largest acquisition within the space. Note: Founding year is the year the respective invested in the company was founded. Each node represents a company in the CPQ software and services market. Each node is colored according to its respective country headquarters and its size represent its relevance to CPQ from an analysis of its business description using Natural Language Processing technology powered by Quid. As illustrated in the diagram, private investments in businesses offering CPQ software solutions have grown in the last 10 years. Private investments are investments of private capital and exclude mergers and acquisitions or strategic minority acquisitions. More recently, investments outside of the United States have become more common. As the market has matured, sizable mergers and acquisitions transactions of established CPQ software businesses have also occurred. Companies considering investing in the latest solutions to enable efficiencies and improve their clients’ sales experience. Equiteq is the global leader in providing strategic advisory and merger and acquisition services to owners of IP-rich technology and services businesses. 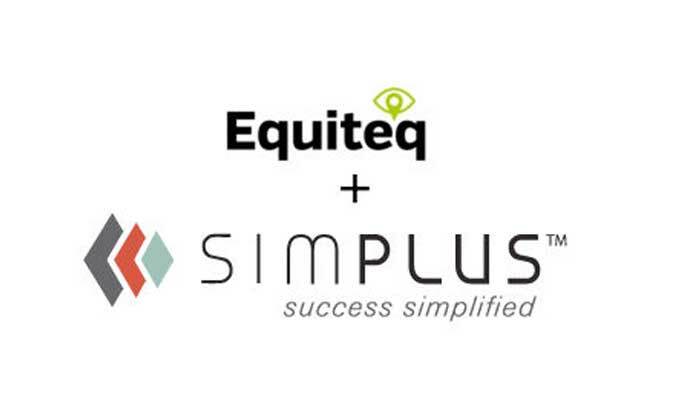 Simplus is a Platinum Salesforce Partner and provider of Quote-to-Cash implementations. We provide enterprise-wide digital transformation through advisory, implementation, change management, custom configuration, and managed services. Guided by the mantra, “success simplified,” we use leading cloud solutions to help companies achieve a strategic vision, improve performance, and increase value to stakeholders. With more than 2000 projects and a high customer satisfaction rating, Simplus helps companies improve, innovate, and grow. For more information, please visit https://www.simplus.com.